Nigeria spent N2.582 trillion on fuel importation in nine months, from January to September 2018, rising by 12.9 per cent from N2.289 trillion recorded in the first three quarters of 2017. This came as the Nigerian National Petroleum Corporation, NNPC, yesterday, said that the Federal Government has paid petroleum products marketers N236 billion, being first tranche of the outstanding fuel subsidy claims owed the marketers. Members of the Depot and Petroleum Products Marketers Association of Nigeria, DAPPMAN, confirmed receipt of the payment and stated that they would still seek clarifications on certain issues with the government. According to data obtained from the National Bureau of Statistics, NBS, Foreign Trade Statistics for the Third Quarter of 2018, Nigeria’s fuel import stood at N845.12 billion, N720.4 billion for the first and second quarters of 2018 respectively. However, in the third quarter of 2018, the report noted that fuel import rose sharply by 41.03 per cent from N720.4 billion recorded in the second quarter to N1.016 trillion in the third quarter of 2018. This, according to the report, was in comparison to fuel import of N802.4 billion, N744.28 billion and N742.82 billion recorded in the first, second and third quarter of 2018 respectively. Specifically, the report stated that total imports into Nigeria in the third quarter of 2018 stood at N4.172 billion, rising by 73.8 per cent from N2.4 trillion in the second quarter of 2018. 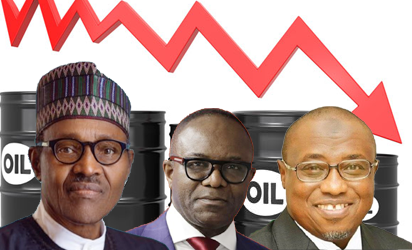 The report further attributed the sharp rise in total import in the third quarter to the importation of an oil rig. “In the same way, there was a rise of 67.7 per cent when compared with the import value of the corresponding quarter in 2017. The huge increase in import value during the quarter, resulted into a decrease in the country’s trade balance from N2.103 trillion in the second quarter to N681.3 billion in third quarter representing a decrease of 67.6 per cent. The year to date Total Trade amounted to N23.14 trillion,” it noted. Subsidy In an interview in Abuja, Chief Operating Officer, Downstream, NNPC, Mr. Henry Ikem-Obih, disclosed that the payment, which was done through promissory notes, had been ready since last Wednesday, while the marketers were asked to come pick them up Monday. Ikem-Obih further stated that all the promissory notes for this tranche would mature in 2019, adding that the CBN had also promised to grant special status to the notes. He said: “I can confirm that the promissory note has been issued. In fact, there were ready on Wednesday. The marketers got emails inviting them to come and receive them on Monday. “By the end of Tuesday, there were actually ready from the Debt Management Office, DMO. We had a meeting with the CBN Governor on Thursday and they were informed officially. The Director General of DMO was there and said that they should pick up the promissory note. “Most of them were waiting for that meeting with the CBN governor; it went very well. one of the things that CBN governor had taken the initiative to do is to ask the banks to freeze the interest on any loan that are related to that scheme, the outstanding payment, from end of June 2017 to date. Those are some of the additional concession that government has done.” NNPC assures Ikem-Obih assured of steady and stable petroleum products supply during the Yuletide season and beyond, stating that the NNPC currently has over 2.7 billion litres of Premium Motor Spirit, PMS, also known as petrol.